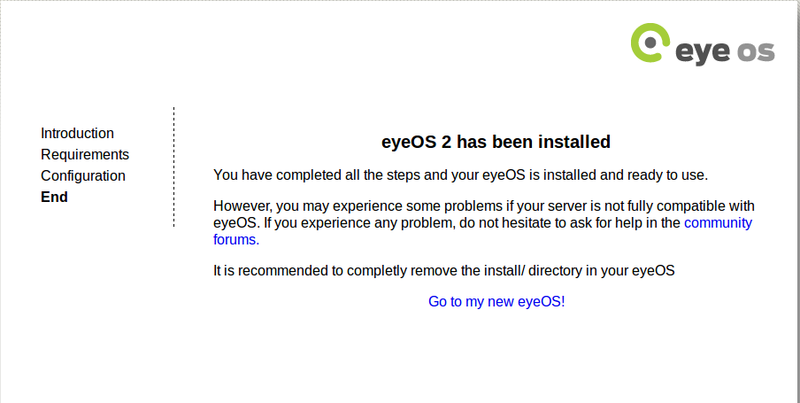 Before proceeding with EyeOS installation, please note that it requires following three software apps to be installed. In order to install all of the above mentioned pre-requisites, we will install LAMP Stack on our ubuntu operating system, it will take care of all required dependencies. Launch your terminal and run following command to install LAMP. 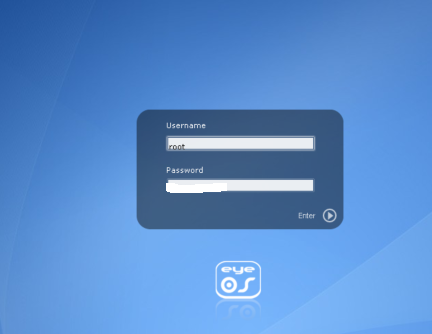 During the install process, it will open a pop up for MYSQL root password, specify whatever root password you want to set for your mysql installation, note down the password you set, as it will be used later when installing EyeOS. 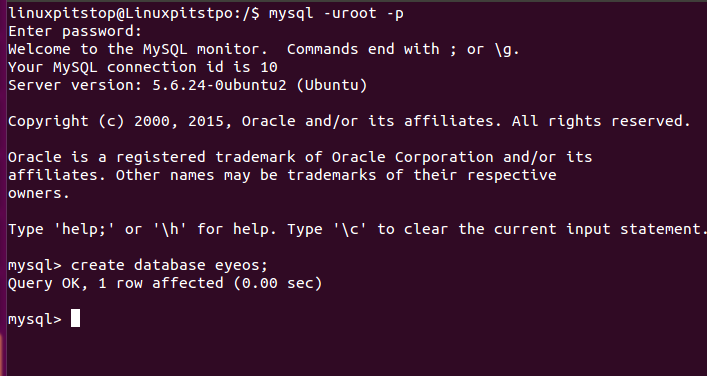 First of all, lets create a mysql database for eyeos, Login mysql on your system by running following command and providing mysql root password when prompted. As soon as the installation for LAMP stack is complete, run following command on your terminal to start Apache web server. Now verify that Apache is working fine on your system by browsing http://localhost, it should load Apache status page as shown in the following screenshot. Important Note: By default, the document root for fresh apache install is /var/www/html. You need to place your scripts in this directory for apache to serve them successfully. Once download process has been complete, run following command to extract this downloaded file. Now rename the extracted directory to something more meaningful. 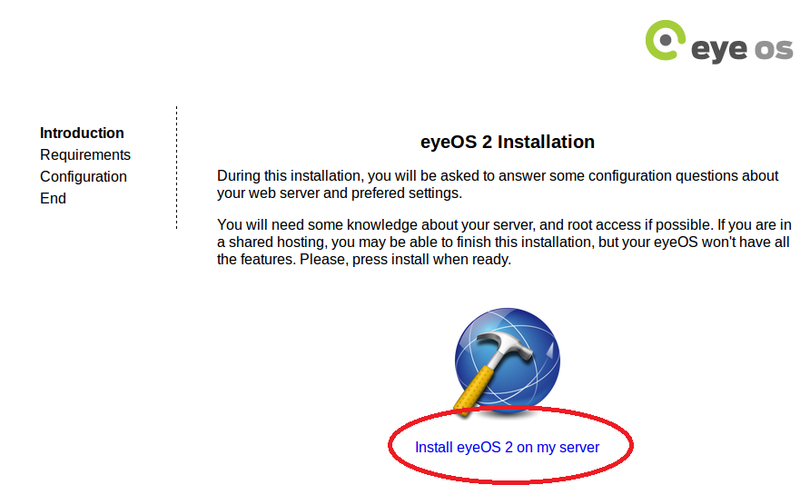 From here, choose “Install EyeOS 2 on my server” as shown encircled in the above screenshot. 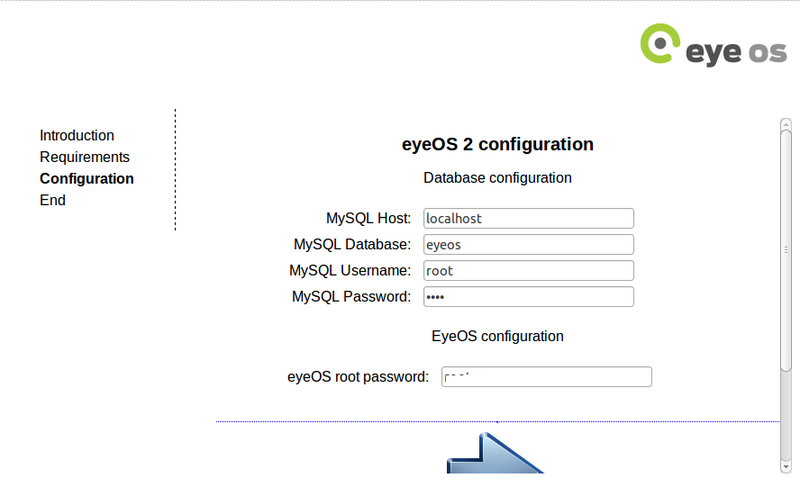 On next step, specify your mysql root password for your eyeos new install. Once done, hit -> button to proceed further. That’s all, eyeos installation will start, it should hardly take a min. Congratulations, EyeOS has been installed now. Click “Go to my new eyeOS” option and it should take you straight to the login page, Login with root username and password you set earlier in the installation process. Need to know the list of required packages & how to install them before proceeding the eyeOS install. You are free to continue with the installation even if there are some missing requirements in your server. However, if you want a full experience in your eyeOS, it is strongly recommended to have all the requirements installed before proceeding. If you proceed with any element in red or orange, you can expect random failures in your eyeOS and data loss. Run following command to install missing packages. This is all nice and dandy, but what about installation instructions for the other 50% of Linux systems? You should also have instructions for rpm based systems. 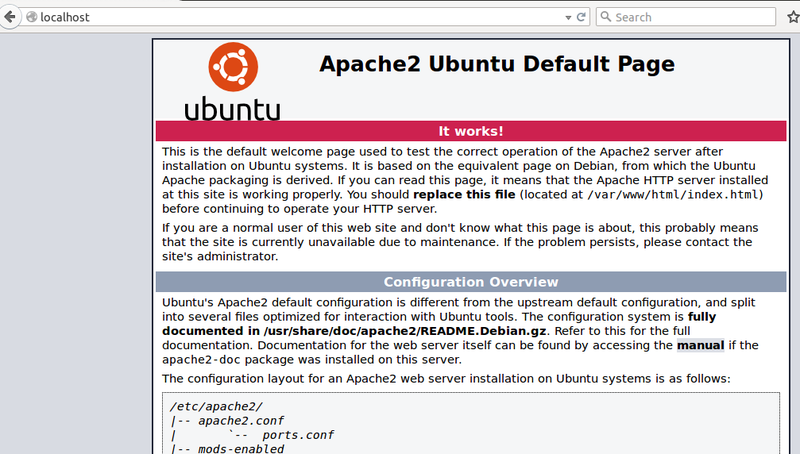 is there any special reason that you recomend using apache versus any other web server like nginx ? No Special reason Apache is widely used web-server that’s why we wrote the article with respect to Apache. Do you need instructions with respect to Ngnix ? seems a common issue and nobody give answer how to fix. even with install requirements it tells sqlite and python etc etc not on servers. Where are you getting this error?